It is a simple truth that everything is in a constant state of change, notwithstanding me, or Unlocking Pandora's Box. I started this blog back in April 2013, when I was fourteen years old. I wanted a platform to write about socially relevant issues, to form my voice and my opinions, and this blog gave me just that. For the first few months, I had a plethora of topics that I wanted to write about, and I looked forward to planning and executing each post. But, as the days went on, I found that I had less and less time to devote to this webpage, especially after beginning the IBDP. Eventually, it fell into disrepair and abandon. I returned to it last month, at sixteen, wanting desperately to recapture the magic I felt when I first began blogging. But I quickly found that it wasn't that easy: topics that I'd once been able to write about at length fell flat, and I was unable to muster up the same enthusiasm that I used to have. 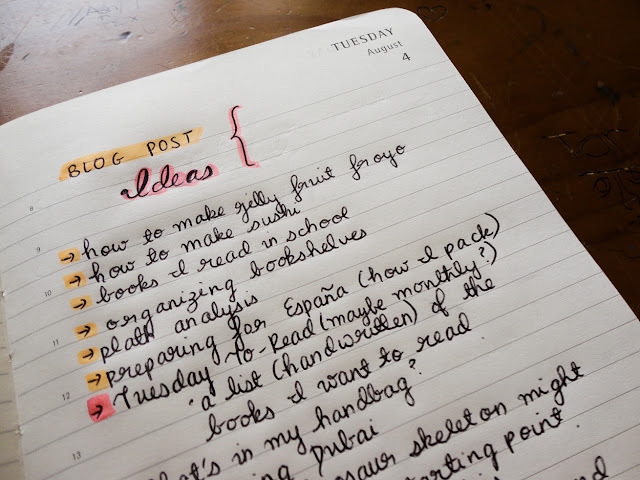 Blogging became something that I pushed to the back of my mind, as I struggled to think up things to write. Each time I started a post, I deleted it, because nothing was coming out right, or because I couldn't find the motivation to finish it. And yet, oddly enough, I still really wanted to blog- just on a wider variety of topics. I have changed dramatically since two years ago. I've gone through the DP, I've graduated high school, and I'm about to start university. And yet, I believe that, fundamentally, I'm still the same person that I always was. It's the same with my interests: while they've changed, they've also remained consistent. I know that I'm being rather oxymoronic right now, but everything I've said is true. It's like my interests have diversified: I still love reading and writing about socially relevant issues, but I also want to explore my passion for literature, travel, theatre, food and clothing through my writing. I don't want to limit myself to writing only on a single field- I want to be able to branch out, for there is so much out there to examine, to dissect. Over the last few days alone, I've wanted to start a food blog, a fashion blog, a book blog- the list goes on and on. It was only today that I realised that I already had a blog, and maybe, just maybe, I could remodel it to encompass everything I wanted to write about. So I did. Welcome to the new and improved Unlocking Pandora's Box. I've introduced eight main categories to help you navigate around this little webspace. They reflect what I'm going to be focusing on, as we enter this new age of the blog. Literature: Books, books, books! And poems, and other things too. Reading is pretty much my life, and and my love for books is something that I never really explored over here. So, this section will contain my rants and reviews about the various books I've read, literary analysis (expect a lot of analytical essays on Plath coming your way, because I adore Plath, and I love analysing her poetry), etc. Essays: This section will be a lot like what the main content of UPB used to be. This will contain all of my ramblings about socially relevant issues, and all sorts of other things. Fashion: Okay, I'll admit it. I've always wanted to make a fashion blog. I've always loved clothes, and I'm really looking forward to exploring my interest in style. This section will probably include outfits of the day (if I can take pictures that look decent enough), DIYs, style tips and more! Food: Who doesn't love food? I've been avidly reading Chocolate Covered Katie, and of late, I've discovered that I really enjoy cooking. This section will include my chocolate reviews (yup I'm going to review the chocolate that I eat! ), other food reviews, and simple recipes (I've got a great one coming up)! Travel: I travel a lot, and I love to discover new places and cultures. In this section, I'll be blogging about my adventures abroad- and even at home, since there's always something new to discover in Dubai- like a full dinosaur skeleton. In a mall. I know, I was just as surprised as you are now. Theatre: I am still as obsessed with theatre and acting as I was when I started this blog, and while I originally didn't make theatre a category, I realised that this blog wouldn't be a true reflection of my interests if I didn't include it. Acting is my first love, and this section will contain theatre reviews, acting tips, and other random posts about drama (because I like to talk about drama. A lot. You have been warned). Misc. : Anything that doesn't fit in the above categories will go in here, because sometimes, things just don't fit. Like this post. Along with diversifying the topics of my posts, I'm also going to try and post more regularly. Although I already know that any kind of schedule I set up will probably disappear during term-time, I'm still going to try and post at least once a week- and hopefully more during vacations! I've already got a bunch of ideas, and I'm working on lining up posts now! So, here's to the all-new, expanded Unlocking Pandora's Box. See you soon! Thank you, it took ages (both the layout and the brainstorming- I did my brainstorming in my moleskine, and I have a general rule that anything that goes in there needs to be absolutely gorgeous)!